Speaking of moms and names, the main mother figure in Everyone Knows You Go Home is named Elda. Is that significant at all? Honestly, I originally thought of calling her Elsa, but then Frozen became a huge thing and my nieces were always singing “Let It Go,” and as adorable as they are, it ruined the name for me. So then I thought of Elda, and out of curiosity I googled its meaning and learned it means Warrior, which suits her so perfectly. Your novel is structured in dual timelines: one in the present, in which Isabel is visited by the spirit of her father-in-law, Omar, on her wedding day, which falls on the Day of the Dead. The second timeline takes place in the early ’80s, as Omar and his family cross the border from Mexico into Texas. Why these dualities? The simple and boring answer is that that’s how the story came to me—I don’t feel like I begin to learn the meanings and whys of what I write until the later drafts. But eventually, I realized I was exploring physical and spiritual borders, and the very tangible consequences of invisible boundaries that are placed upon us (and also, those we place upon ourselves in our everyday relationships). That sense of feeling caught in in-between spaces is such a common one amongst us immigrants, but so is the importance of memory and wanting to preserve it. I think that’s why el día de los muertos became such a significant marker of time in this story—it’s all about refusing to forget what is gone, and knowing that holding onto someone or something in your heart is a powerful way of honoring them. As immigrants we find ourselves in a country that would very much like us to let go of our past, our culture, our history. But no matter how much our customs or language or community may evolve, there’s no erasing us. We’re here and we refuse to let ourselves or our ancestors be forgotten. 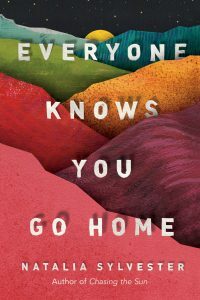 Tell me about Eduardo, Martin and Isabel’s teenaged nephew who crosses the border to live with them in the Rio Grande Valley. I lived in the Valley when I was ten, eleven and twelve. My family and I moved away two days after I’d experienced my first kiss. I remember crying the entire 24-hour road trip to Florida. I think I was mourning the adolescence in the Valley I felt had been promised to me, and because of this, there’s always been a huge part of me that felt like I left it there. 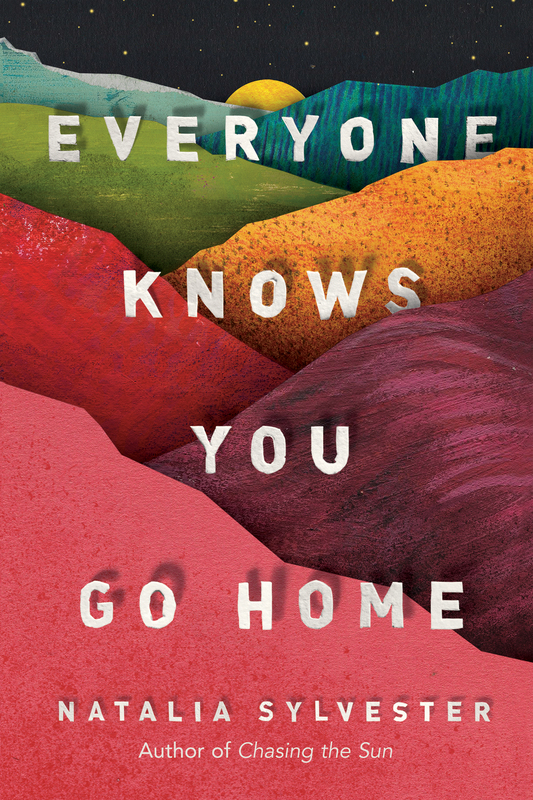 Eduardo gets to experience life as a teenager, so many of its firsts and subsequent excitement, in the Valley. I think I began writing parts of his story as a way to live vicariously through him, but I love that he very quickly reclaimed the narrative as his own. NATALIA SYLVESTER is the author of the novels Chasing the Sun and Everyone Knows You Go Home. She studied Creative Writing at the University of Miami and is a faculty member of the low-res MFA program at Regis University in Denver, Colorado. 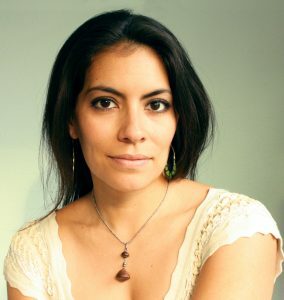 Natalia’s articles have appeared in Latina Magazine, Writer’s Digest, The Austin American-Statesman, and NBCLatino.com. Born in Lima, Peru, she came to the U.S. at age four and spent time in South and Central Florida and the Rio Grande Valley in Texas before her family set roots in Miami. She now lives and works in Austin.